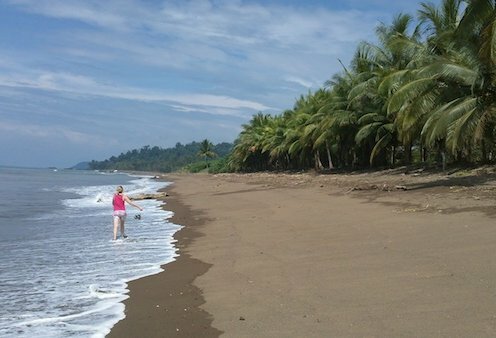 The best time to visit Costa Rica is from mid-December to April (the dry season). This peak tourist season boasts plenty of sunshine, making it an ideal time for exploring rainforests and lounging on beaches. That said, the dry season is the most popular (and expensive) time to visit, although the U.S. dollar goes a long way in Costa Rica no matter the season. You'll have to book your room and tour reservations three months in advance to secure a spot. If you don't mind getting a little wet, visit between May and November when prices are at their lowest. During June and July, rain showers pause briefly, and Costa Rica's forests burst with green foliage. Costa Rica's dry months usher in the most sunshine and tourists. Wildlife-enthusiasts and beach-seekers arrive in droves from across the globe to explore the country's spectacular rainforests and sandy shorelines. Come during the dry months to spot soaring Quetzals and waddling green turtles. Travel during this time of year and you'll also find vibrant fiestas taking place across the country, featuring bullfights, dancing, and live music. In San José, temperatures linger in the 70s year-round, while drier regions along the Northern Plains and coast, like Nicoya Peninsula and Guanacaste, see 90-degree temps. In December and January, North American and European visitors head to Costa Rica for sun, splendor, and a break from chilly winter months at home. Therefore, you'll want to make reservations several months in advance to ensure availability.